Overlay your call-to-action message onto any piece of content. Turn your social shares into social conversions. 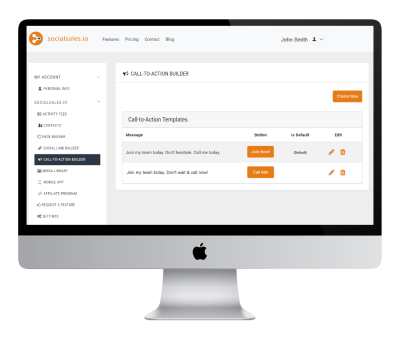 Use the Call-to-Action Builder to add a personalized message and call-to-action to every link you share. Incorporate your brand and selling style to connect with your prospect in a personal way. A Call-to-Action (CTA) overlay is a small piece of content designed to encourage the reader or viewer to perform an immediate action. It typically displays at the end of an article and is intended to provide a next step for the user to continue down a predefined path towards an end goal such as purchasing an item or requesting for more information. Some examples of a call-to-action button might be “Buy Now”, “Sign Up” or “Claim Your Free Gift”. Our Call-to-Action overlays are a great way to drive traffic to your website while maintaining your brand across all of your social shares. 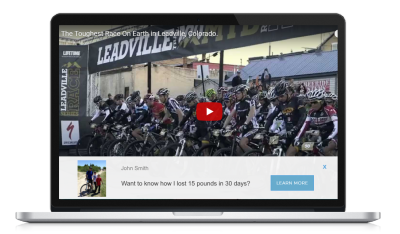 The Call-to-Action overlay appears at the bottom of any content you share using our Social Link Builder. 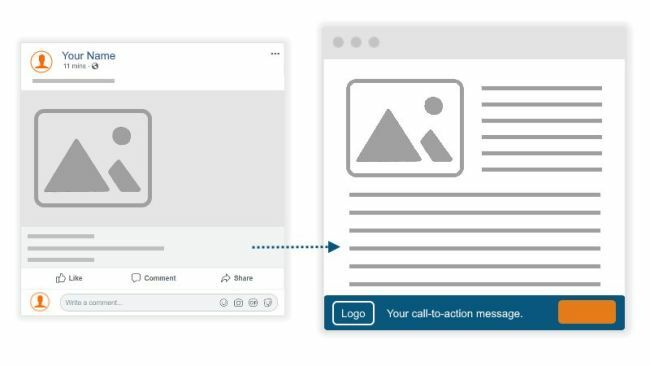 You can add a Call-to-Action overlay to images, videos, and even external websites you share with your social fans. Create multiple call-to-action overlays using our Call-to-Action builder and test variations of button text and message combinations to improve your conversion rates. 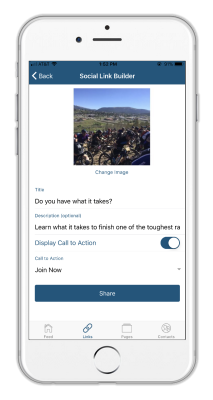 Choose from your call-to-action list whenever you share a resource form mobile or create a new custom social link. Quickly and easily include your call-to-action overlay when you share an image from your mobile phone using the Socialsales.io mobile app. View prospect activity and CTA clicks from the Activity Feed on the mobile app home screen.